Goddess Alive Radio is basking in the light of the Full Moon in Sagittarius with the incredible Normandi Ellis and a Full Moon Goddess Meditation! Normandi will be guiding us in a Fellowship of Humanity meditation with the Goddess Isis – you don’t want to miss this! 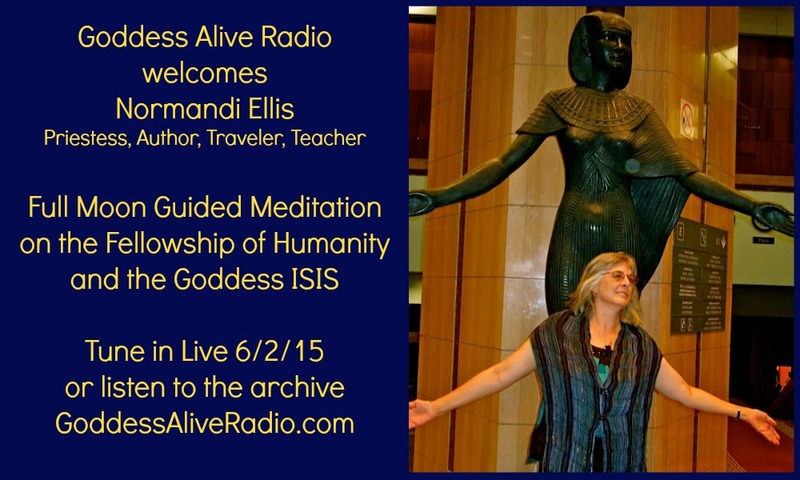 Normandi Ellis is a Priestess, Author, Speaker, Traveler, Translator, and Workshop Leader and we are delighted to welcome her to Goddess Alive Radio. We will be discussing the planetary changes we are experiencing and the contributions of Isis and the Goddess to Planetary Healing. Join us on Tuesday, June 2 at 8pm eastern for the interview and guided meditation! 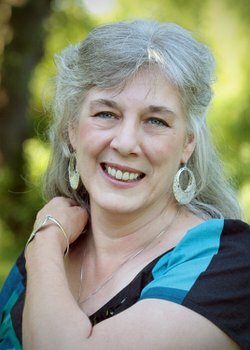 Normandi Ellis is the author of six books, including two award-winning collections of fiction, Sorrowful Mysteries and Fresh Fleshed Sisters. Her spiritual autobiography, Dreams of Isis, has been the touchstone for many modern day seekers. For the last 20 years, pilgrims throughout Egypt have regarded her translations of the Book of the Dead, Awakening Osiris, as the essential text for any pilgrimage through the ancient Egyptian temples. Her next book, Union of Thoth and Isis, is being co-created with Nicki Scully and will be out in Fall 2015. Read more about Normandi on her website. Normandi frequently leads tours to Egypt; her next tour is May 2016 and you can find out more here.